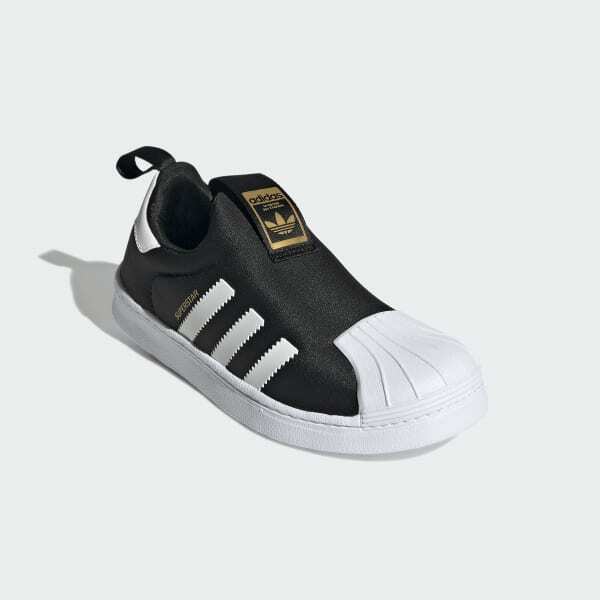 Kid-size adidas Superstar shoes with a one-piece upper that slips on and stretches to fit. These shoes for kids bring the iconic look of the original adidas Superstar sneaker in a slip-on design built for little feet. The stretchy, sock-like upper has welded 3-Stripes and a soft jersey lining. They're capped with the famous rubber shell toe. Product color: Core Black / Ftwr White / Gold Met.